Everyone remembers the supposed WiFi Glitch in Ocarina of Time 3D, right? If not, here’s the jist of it. While playing the game, you are disconnected from the internet, rendering Spotpass, Friends List, etc. inoperable. We were all a little miffed about it, but it wasn’t a big deal since Ocarina doesn’t have any kind of WiFi modes. However, Nintendo has recently come out saying that the glitch is no glitch; they meant for it to happen. In an interview with Digital Spy, Nintendo stated that some games were specifically designed to be inoperable with internet connectivity. Why intentionally disable these games from internet access? I understand that they don’t make use of the feature, but that’s no reason to spend extra time intentionally disconnecting the device from the internet. This just doesn’t make sense. Hopefully Nintendo won’t be doing this to every game that does not feature WiFi extras. Nintendo is aware that some customers have noticed that they do not appear online in the Friends List of their friends while playing certain software. Whether you appear online in the Friend List or not during gameplay is dependent upon the software you are playing. 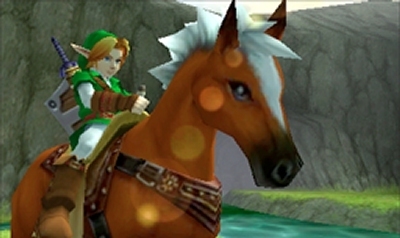 Some games, such as The Legend of Zelda: Ocarina of Time, will not simultaneously be able to connect to Wi-Fi through Nintendo 3DS. This is a design specification, not a bug or malfunction.